The men were often away from home, while women were the ones actually using and managing water day-to-day. Over the years, the tap committees failed to collect payments, manage their money or retain membership. To salvage the project, the government recruited women into the tap committees and trained them. Once women made up the majority of members, they paid water bills more reliably, held regular meetings with high attendance rates, and redesigned communal taps to be more user-friendly. 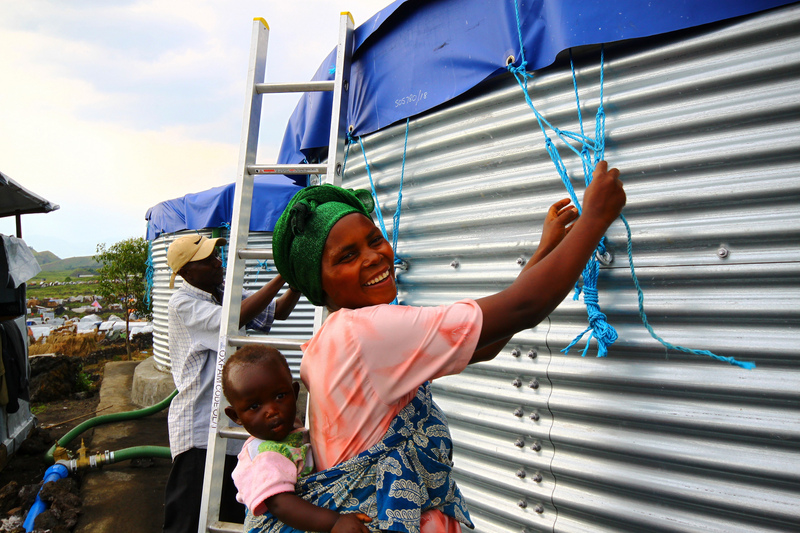 The result was that nearly 24,000 low-income families across Malawi gained access to reliable water supplies. This story is hardly unique: A growing body of evidence shows that water projects can become more effective when women participate. Yet women's representation in the overall water, sanitation and hygiene (WASH) sector is dismal, from community water groups like the ones in Malawi to the national policy level. In 2014, women made up less than 17 percent of the WASH labor force in developing countries. They were particularly underrepresented in technical jobs such as engineers and hydro-geologists, and in leadership roles such as policymakers, regulators and managers. In an increasingly water-stressed world, many countries and regions face the risk of political instability or conflict over water. For this reason, women's lack of involvement in the water sector is troubling not only for gender equity, but for peace and security as well. Especially in developing countries, men and women may have different priorities and responsibilities for water use. In addition to farming alongside men, women are often responsible for fetching water and using it for domestic chores such as cleaning, cooking and washing. Women are already the primary water decision-makers at the household level. And when women influence water management, their communities get measurably better outcomes—including better-functioning water systems, expanded access, and economic and environmental benefits. UNDP research on 44 water projects across Asia and Africa shows that when both men and women engage in shaping water policies and institutions, communities use water services more and sustain them for longer. Research also shows that women share water more equitably than men do, especially in times of scarcity. At the national policy level, women representatives can help design more inclusive policies and raise issues that might have been otherwise neglected. 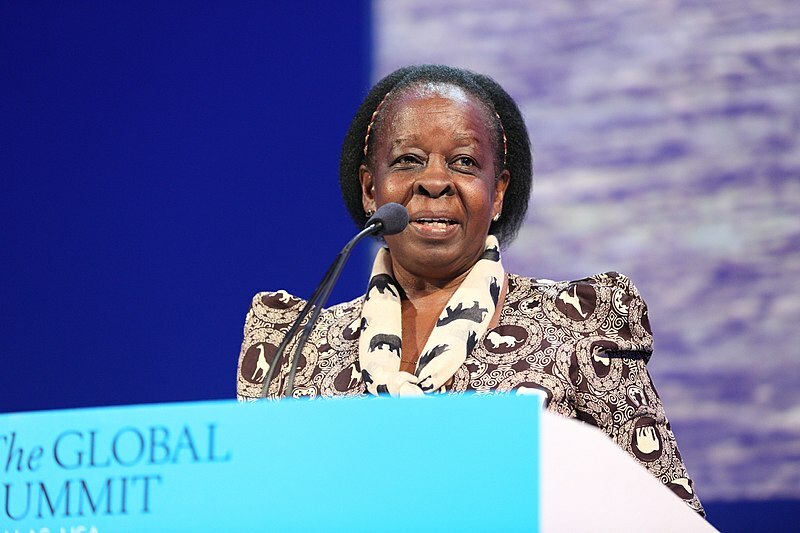 For example, when Maria Mutagamba served as the Ugandan minister of state for water, she developed five-year gender strategies for the water sector. These strategies promoted women to take up key positions on decision-making committees and provided guidance on integrating women's concerns into the water and sanitation sectors. With the implementation of the first round of strategies, Ugandans' access to safe water increased from 51 percent to 61 percent in only two years. As increasing water demand and climate change lead to higher rates of water scarcity and conflict, water management is becoming an increasingly urgent issue. WRI's new research on water, security and conflict shows that water stress is an important factor driving social instability and conflict around the world. A community's risk of water stress depends not only on droughts and floods, but also on its ability to govern fairly and be resilient in the face of these natural hazards. For instance, in the Black Volta Basin in Ghana, community members devised a system of water use rules—including designated times and places to get water—that ensures equitable access among families, herders and farmers in the basin. This system has reduced the region's water-related conflicts. Research on women, peace and security overall provides strong evidence that countries with greater women's empowerment and gender equality are also more peaceful and stable. Women play important roles in formal and informal peace processes, and policymakers now widely recognize gender as a key factor in how people experience conflict, and in how we can reduce it. Given that women can be powerful water stewards, it stands to reason that women's involvement in water management can also reduce water-related risks and conflicts. Many anecdotes point to women's potential as key players in water management. But in order to spark action across more countries and regions, policymakers require more evidence—especially impact evaluations. When governments and NGOs evaluate the effects of water development and peace-building projects, they should make sure to measure the effects of women's participation. With this kind of evidence, we will better understand how women can help solve the problem of water-related conflict. Increasing the number of women in local water committees is a great first step, but women's leadership nationally and internationally would likely result in even greater benefits. EDITOR'S NOTE, 10/23/18: A previous version of this blog post indicated that water projects can become six to seven times more effective when women are involved. While this statistic has been widely cited, we could not confirm its primary source, and thus, have removed it from this post.